Rainswept is an adventure game about murder. It’s also about “love, relationships and unresolved trauma” with heavy Twin Peaks vibes. You take the role of Detective Michael Anderson as he arrives in the small town of Pineview. He is there to investigate, and ultimately solve, the brutal murder of a local couple. The local authorities claim it’s a murder-suicide, but something just doesn’t seem right. It’s up to you to figure out the truth, but the more Detective Anderson, but more he risks his past comes back to haunt him and the closer he gets to losing his grip on reality. I don’t think it means there’s a sanity system in the game. 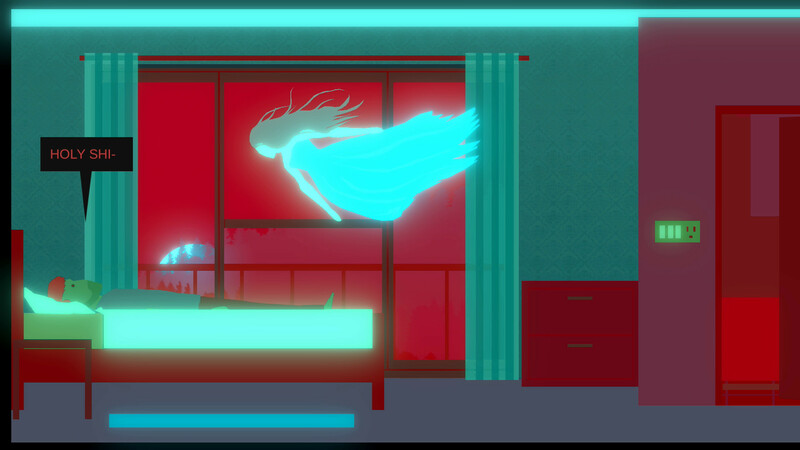 As can be seen in the release date trailer, a chunk of the story is told through a lot of flashbacks, dream sequences and perhaps even hallucinations. That means Michael Anderson will most likely have to face his past to solve this mystery. If adventure games are your thing, or you have a soft spot for pine trees, coffee and lots of rain, you can try an early Rainswept demo on itch.io. If you just want to read more about the game and its developer Frostwood Interactive, head over the official Rainswept site. Rainswept is coming out on PC on February 1 via Steam.